When people first hear the word “blockchain”, some may feel intimidated by this buzzword or some may have never heard of it at all. It was this exact reason that led the TRON marketing team to implement the Educational Event Series. TRON aims to act as an educational leader in the blockchain space by sharing our knowledge of blockchain and cryptocurrency to the community through a plethora of channels — social media, events, conferences, and more. 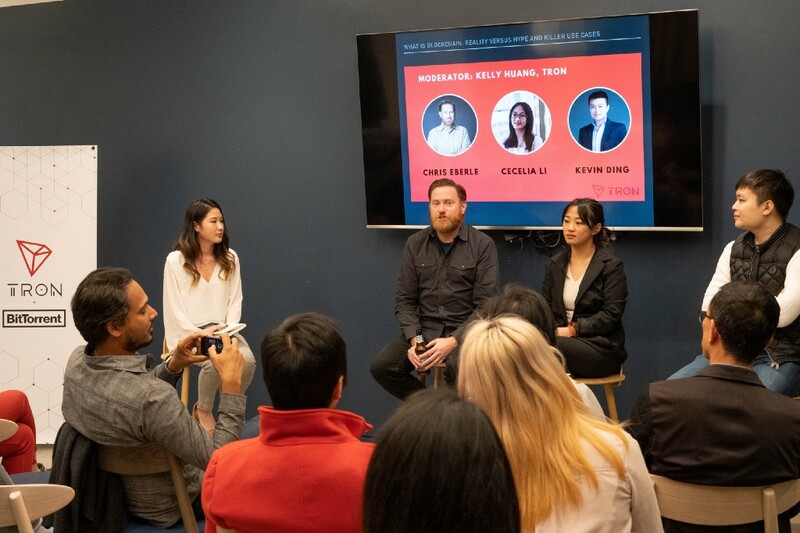 The very first event of this series was held in San Francisco on March 7, 2019 for more than 40 people. So what does “blockchain” actually mean? Blockchain is the underlying technology that powers Bitcoin. It is “a time-stamped series of immutable record of data that is managed by a cluster of computers not owned by any single entity.” The chain of blocks essentially carries all the data of a ledger in digital form where every transaction is recorded, with the utmost transparency. The purpose of the first event from The Educational Event Series was to spread awareness and educate people on the vast potential of blockchain technology. We want to break down barriers for people to understand and use this technology in their everyday lives. TRON is hyperfocused on education and we believe this is crucial in aiding mass adoption. Chris Eberale — Chief Operating Officer of Swarm, a non-profit using blockchain technology to democratize investing. Prior to Swarm, he held leadership roles in Media and Marketing at Facebook, and earlier was a part of startup exits with Federated Media and Meebo (Google). He began his career at AOL with executive roles in Product Marketing, Advertising Operations, and Content.